As with other areas of Psychiatry, treatment of ADHD will follow the Biopsychosocial and Lifestyle model (BPSL). However, the priority is to get the maximum benefit as quickly as possible and that’s part of the reason why treatment with medication is usually the first step. How is Attention Disorder typically treated? ADHD Treatment by a Psychiatrist will use the BPSL model. But with Attention Deficit Disorder, the brain isn’t working properly. So you would not retain information you have read or remember to implement even simple strategies you have been taught. Hence any early psychological or coaching intervention will likely be wasted. The response to medication is often excellent and many people discover they can then implement the life strategies they have always known would be helpful. Some individuals need coaching in order to learn strategies or optimise treatment response. Treatment always starts with a Comprehensive Psychiatric Assessment to provide a reliable diagnosis. This will include relevant ADHD Tests. We can organise this at my practice in Perth, and then I will recommend a personalised treatment plan. Do you to treat a patient who has mild ADHD with medication? Attention Deficit Disorders, like all areas in Psychiatry, range from mild to severe. The patient plays the biggest role in defining whether a condition is severe enough to warrant treatment. 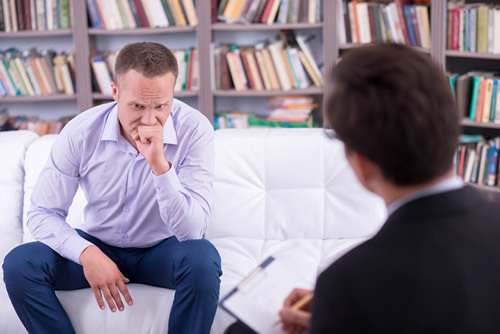 During your consultation we will discuss the impact your attentional disorder has on your daily life, and organise treatment based on your needs and situation. How does ADHD coaching fit into a broader treatment plan? ADHD treatment doesn’t necessarily stop with medication. Coaching and other psychological approaches can be useful. I find most patients who attend my Perth clinic know exactly what to do to manage their day-to-day lives, such as putting their car keys in the same place so they know where they are. But they don’t do it!. The reason they don’t stick to these simple rituals is that they forget. Once their ADD is treated with medication, they can implement the strategies they know will work. That is because of the clarity and focus the medications provide. However, when I see patients who have never been taught simple strategies, have no idea how to simplify their lives, or have a suboptimal response to medication, ADHD coaching can be beneficial. If our conclusion is that you may benefit from ADHD coaching, I will organise it for you. Does Cognitive Behaviour Therapy help with ADHD? Behaviour therapy is useful for those with attentional disorders. Cognitive Behaviour Therapy can be very effective for associated conditions, such as depression and anxiety. So, ADHD treatment is not a one-size-fits-all approach. We start by looking at your life, your work, your relationships, your activities. We make sure we prescribe the right medication to improve brain function and reduce symptoms. If you need additional support to train new habits, make changes to your routines, or deal with any associated complications, I will organise ADHD Coaching, Cognitive Behavioural Therapy, Relationship Counselling or any other required treatment for you. If you have been told that you may need treatment for ADHD, don’t hesitate to contact my practice and book an appointment.